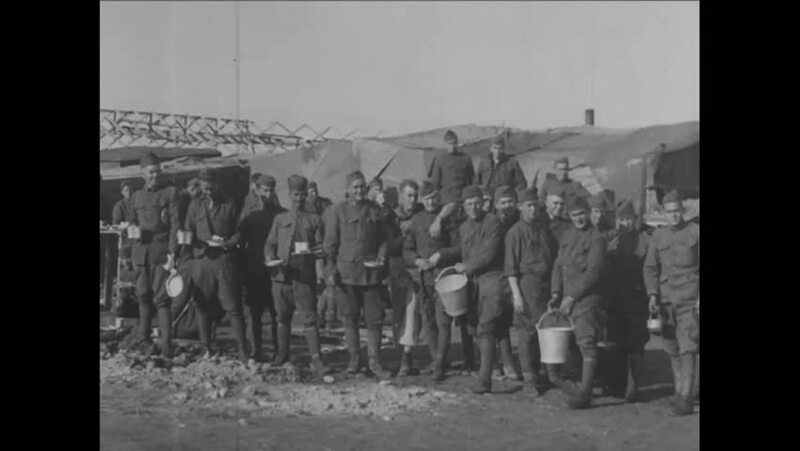 CIRCA 1918 - Men of the 319th Field Signal Battalion eat; officers chat. hd01:01CIRCA 1918 - General Pershing inspects and decorates troops of the 6th Division. hd01:01CIRCA 1920s - Marshal Ferdinand Foch is greeted by the American Legion upon arrival and he is driven in a parade. hd01:00CIRCA 1919 - French and American officers at the port in Bordeaux, France as troops prepare to return to the U.S. after WWI. hd00:50CIRCA 1918 - Generals Aultman and Summerall pose with their men in Souilly. hd01:03CIRCA 1945 - Allied troops are cheered as they drive through a liberated Dutch city. hd01:24CIRCA 1919 - Soldiers are decorated in the Bordeaux town square, General John J. Pershing speaks to troops before their return to the U.S.